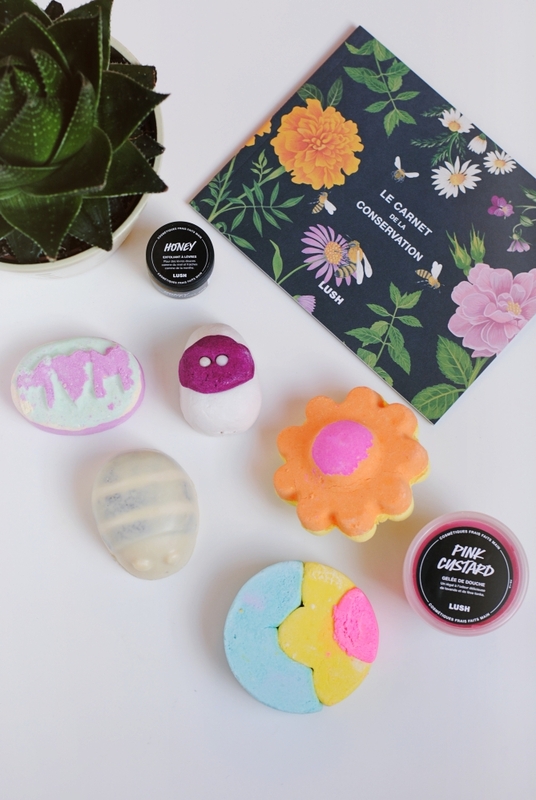 I have already reviewed the Lush Mother's Day collections in 2015 and 2016 here on the blog and this year there's only new products, except for one. Shall we have a look at them? This bath bomb has a lovely citrusy smell, colours your bath all pink and contains a lovely surprise message that says "Thanks Mom". A flower shaped bath bomb that will make your bath all orange/yellow and contains essential oils of orange and rosewood. 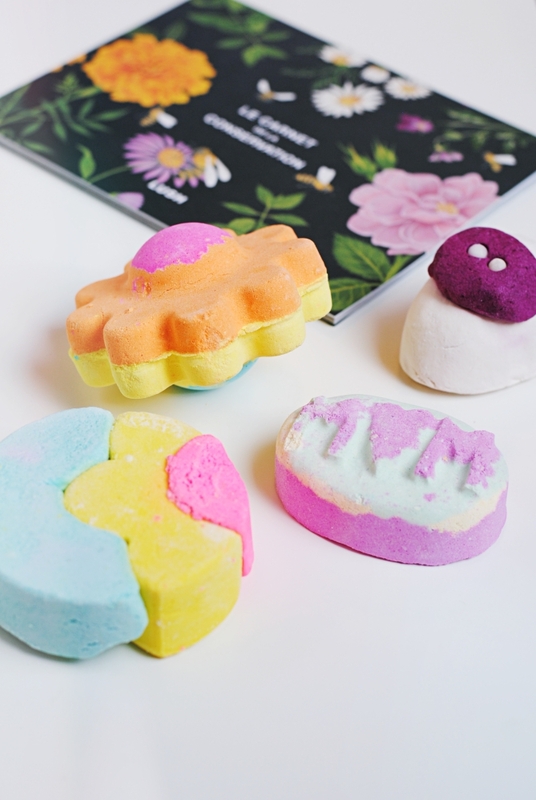 A cute bath bomb for people who have a hard time falling asleep as it contains lavender oil, rose and ylang-ylang oil. Probably the most colourful bubble bath in a deep blue hue with some yellow and pink, too. It contains essential oils of rosewood and neroli. This my friends, is a giraffe toy shaped reusable bubble bath that contains essential oils of lemon, lime and grapefruit. Say whaaat?! This is the only product that has been in the Mother's Day collection for several years now and unfortunately also the only one that I don't like as I find the smell really weird and artificial. I have had a few shower jellies from Lush before and I don't think they will become my best friends. Not only do they fall down all of the time, but they also don't foam a lot and they start crumbling after a while. This product only gets a thumbs up for the fact that it's pink and smells of lavender. I couldn't be more in love with this little bee shaped in-shower body butter. It contains cocoa butter that perfectly hydrates my skin, even after rinsing it under the shower, and the contained scrub made of coconut shell and almonds makes my skin extra soft. My must-try of the collection. I bet the Honey lip scrub is just as good as all other Lush lip scrubs (and thus really good) but it smells even better than Sugar Plum Fairy for example! It contains honey (of course) and vegan white chocolate which makes it smell absolutely divine. My fav from the collection this year! Have you been able to check out the collection in store? If yes which product is your favourite?